The holiday season is a great time to draw in new customers, and this graphic helps you promote your seasonal sales in style. 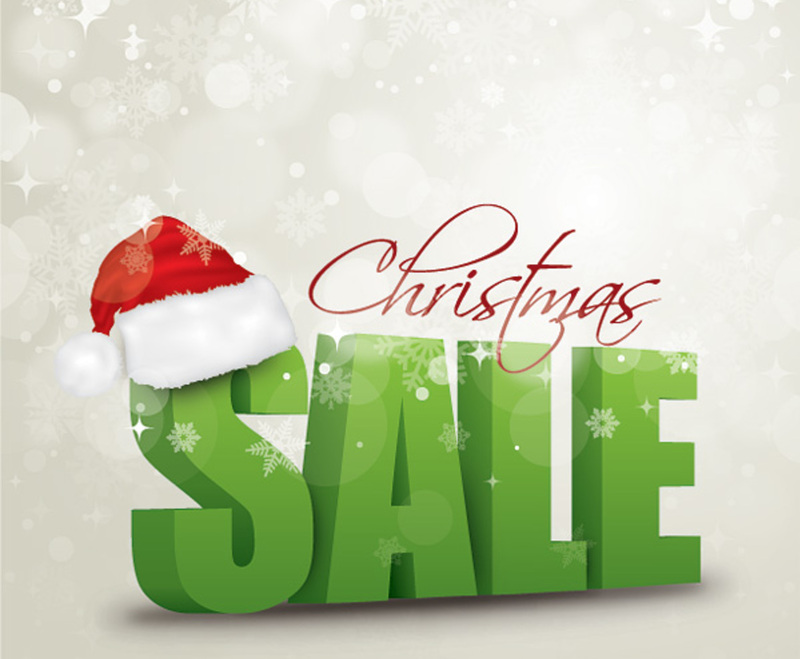 An assortment of snowflakes drifts over the stylized words "Christmas Sale." The cursive font of "Christmas" contrasts nicely with the attention-grabbing block letters of "sale," and a Santa cap on the large "S" adds a festive finishing touch. You can easily customize the image by adding details above or below the main text. This is an exceptionally professional graphic with subtle gradients and shadowing. It's an excellent choice for drawing customers to your next winter event.